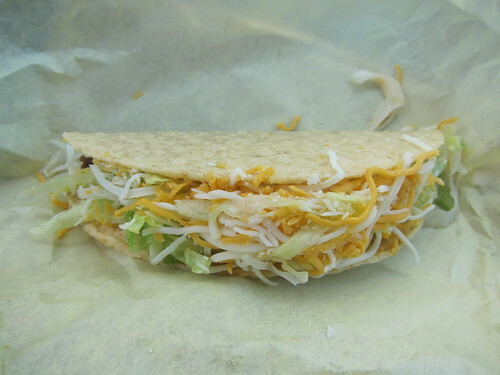 Ever since I ate the horrendous dorito loco taco I have been thinking about the American hard shell taco. It is commonly referred to as the gringo taco and this is as good a name as any I can think of. For many people the gringo taco is what comes to mind when they think of tacos. I was also thinking about how once I had graduated to “real tacos” I began to disassociate myself from the gringo taco. I think this happens to all taco eaters. At some point we reject the gringo taco as something inauthentic, too white, and just a bastardized version of a real taco. This rejection of the gringo taco is similar to how the American teenager pretends not to know their parents during their formative teenage years. Then they reach a certain age when it is ok to admit to their peers that they have parents. Similarly, the taco eater eventually comes around and admits to his peers that he eats gringo tacos. 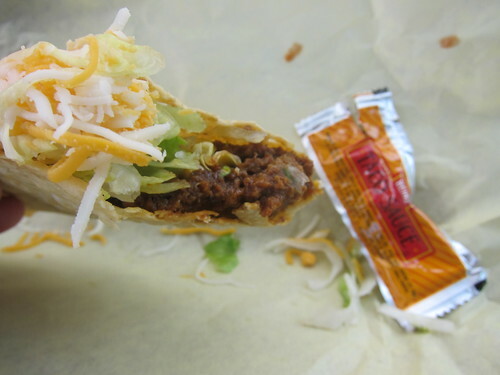 My ideal gringo taco comes with a prefabricated taco shell, ground beef, lettuce, cheese and hot sauce. Tomato is cool too but not a deal breaker. Shredded beef will do too. The gringo taco just must have some kind of beef. 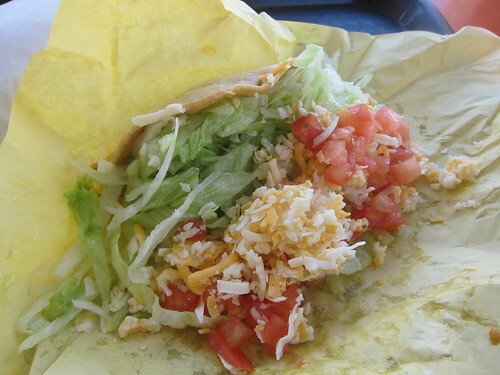 My favorite gringo taco remains the 1980’s Taco Bell taco; may it rest in peace. So for every tuesday for as long as I feel like eating gringo tacos I will put two gringo tacos against each other and then determine which taco I enjoyed more. 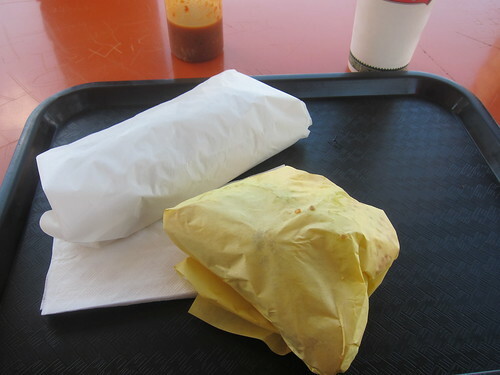 This week’s taco showdown starts in the city of Downey where I munched on gringos from both El Taco and Pepe’s. 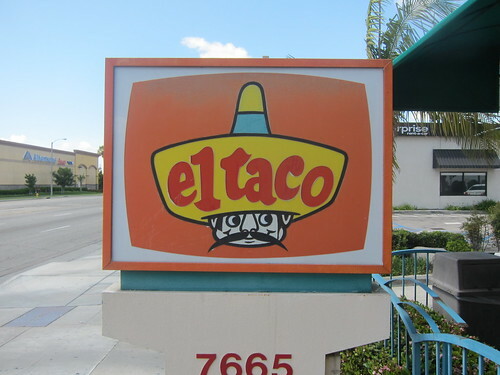 I was really looking forward to El Taco after reading a little about its history. Apparently Glen Bell modeled the original Taco Bell taco after the tacos at El Taco. So as I was getting closer to Downey I felt a little tingle go up my leg. Was I once again going to taste that magical taco of the 80’s? It was too much to bare really. And I should have known I was setting myself up for disappointment because after that first crunchy bite I quickly realized I was eating a very poor taco with overly seasoned ground beef that did not taste good. 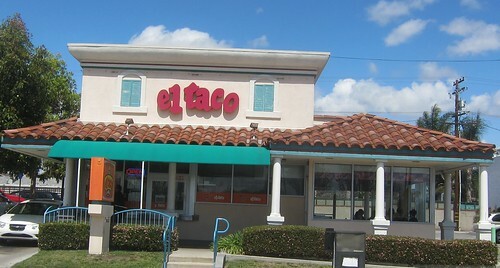 I started to wonder if I had heard correctly about this El Taco – Taco Bell connection and then I started to wonder if the 1980’s Taco Bell taco was really that good to begin with. Had I just tricked myself all these years into thinking it was better than it ever was? Had time deceived me or had El Taco met the same tragic fate as Taco Bell? With the bad taste of El Taco in my mouth I drove about five minutes until I came to Pepe’s. Someone once mentioned that this Pepe’s makes a good bean and cheese burrito so I ordered one with my taco. The bean and cheese burrito was good but it was too big and I became demoralized as I got half way through it and the beans began to gush out of the bottom on to the plastic tray. If it was the best bean and cheese burrito in the world then I would have implemented an all hands on deck approach to save the burrito. This would have included using tortilla chips to stabilize the leak or in an extreme case saving the burrito by allowing some of the beans to gush out and then grafting the wrapper to the bottom of the burrito, attaching napkins to my palm, and then eating it with the base of the burrito sitting firmly cupped on my palm. It is a ridiculous way to eat a burrito and should really only be implemented with really good burritos. The taco was big as well and it really required a fork to eat . The beef was shredded and had okay flavor. The cheese spilled out all over the wrapper and there was a lot of lettuce.It was not a fun taco to eat and eating tacos should be fun. I ate about half of it. Well there you have it my friends. This was the first gringo taco showdown and there should be many more to come. I wouldn’t order either of these tacos again so there is no winner this week. Awesome! Where I live there's a tasty gringo taco place that makes their own shells and uses recipes from the 1960's. And that place would be? what are J&S tacos considered? those are my favorite hard shell tacos. yeah i love j&s. 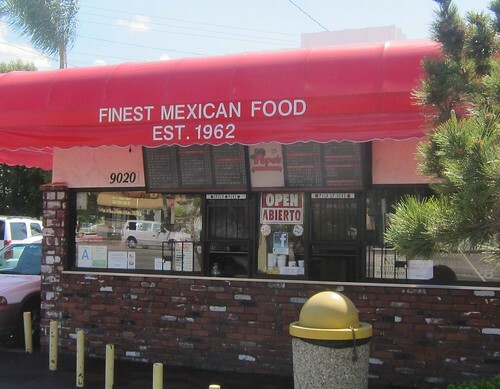 Although i never order the tacos there because the burritos are so good. The Gringo Taco is the Americanized version of a legit Mexican Taco Dorado. It's very regional, but they do exist in Mexico. The Gringo version in a pre-baked shell with too much rubbery yellow cheese is not so legit... But sometimes a good one can hit the spot. And to be good, the shell CAN NOT be pre-baked! i kind of prefer the pre-baked shell (or however its cooked). My ideal gringo taco is probably Henry's in Valley Village. They are a little pricey though at $2.75 each. 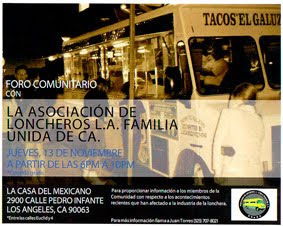 How about a showdown between Viva Fresh on Sepulveda and Pacos Tacos on Manchester. A crispy chicken taco showdown? hmm not crazy about pacos tacos. It's one of those places I just don't get. Kind of like Titos. I always thought titos tacos was the king of gringo tacos? well let me rephrase that....they are the king of gringo tacos if you want them to be. Everyone's taste buds are different.